My ﬁrst car was a Volvo 340, it wasn’t the most obvious choice for a young lad who had just passed his test. It felt like a tank to drive and it was really heavy on petrol. A few things stick in my mind about that car, the car was built like a tank and the seats were very comfortable. Because it was as aerodynamic as a breeze block I remember it being noisy at speed. The other thing that sticks in my mind is the fact that all Volvo’s & Saab’s used to have daytime running lights. This is the norm now with all manufacturers giving cars quite funky led lights indeed. 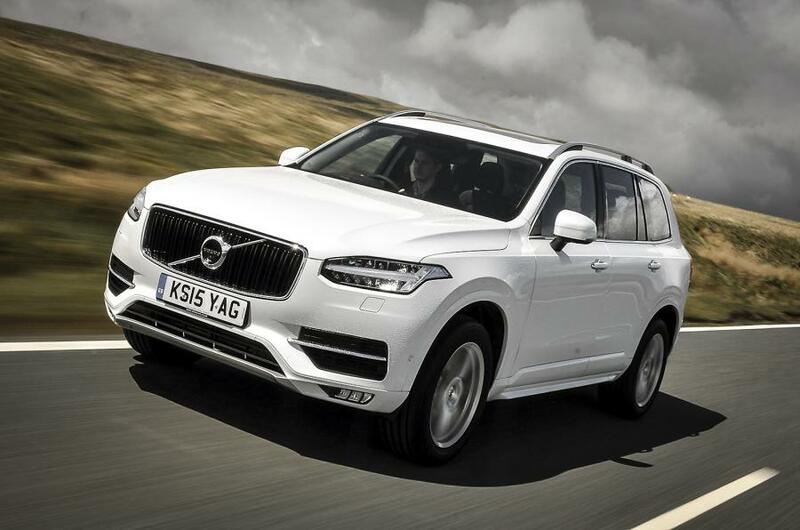 When the Volvo XC90 was launched over 10 years ago it became a real sales success. It totally surpassed Volvo’s sales expectations and waiting lists quickly formed. Owners were able to buy the car and either sell it for a proﬁt or keep it for a year and not lose a penny. This car just pressed all the right buttons for owners, it a nice enough to look at and it was very family focused indeed. As this car is so well loved by current owners this latest Volvo XC 90 had a lot to live up too. Imagine the pressure the designers and engineers were under to get the new car right. Up until about 6 years ago Volvo was owned by Ford, it was the height of the credit crunch. In their wisdom they decided to sell of Land Rover, Jaguar and Volvo. A Chinese company called Geely bought Volvo, after considerable investment they will soon see some rewards. The new XC90 now looks very menacing from the front although the rear looks very similar to the current model. Step inside and it’s a different matter indeed. The interior just oozes quality, none of the cars competitors can get anywhere close to it at all. The XC90 is the ﬁrst car to use a new platform called SPAR I believe there is no connection to the convenience stores!! Volvo have ﬁtted the car with new much more efﬁcient engines, a hybrid version is also available. This promises amazing economy but there is a £10,000 premium to pay, that may outweigh the the potential savings to be made. The Diesel engines promise 50mpg plus economy and the hybrid promises over 112mpg. All cars feature 4-wheel drive and they all have 8 speed gearboxes as standard. In the UK we get 7 seats but in some markets the car is only available with 5 seats. The rear two seats are ideal for anyone under 5ft 8″ unlike most competitors who can only accommodate children. Just to prove how family friendly this car is, the second row seat can be supplied with a child seat. With the 3rd row seats up there is still enough room for some bags or a buggy. With the seats folded this car has estate car rivalling space. There is also a handy divider that can be ﬂipped up to stop smaller items from sliding around the boot. Being so family friendly this car has loads space for storage dotted around the cabin. The cars standard suspension is very good on our terrible roads, after driving a car with air suspension I would be tempted to opt for that as it makes the ride quality even better especially when the largest alloys are ﬁtted to the car. Anyone using the car off road can also increase the cars ride height by 40mm which may help if the car is struggling off road. Back to the car’s interior and the stunning use of leather and metal make this place a real joy to be. Driving for hours in this environment is just so relaxing and it just oozes class. The dashboard only has 8 buttons and everything is controlled by what looks like a tablet. The home screen controls everything from the navigation to the excellent sound system. The XC90 is a big old beast and the driving position is excellent, you sit very high in the car and you have a commanding view of the road ahead. Volvo are not famed for making sporty cars but in it’s R Design trim the car looks amazing. It is also available in either Momentum, gives the car leather upholstery, climate control, Bluetooth, Sat Nav, 10 speakers and MP3 player. Inception gives the car larger alloys, memory seats and plusher interior. The R Design adds a sportier look inside and out. Being a Volvo the cars trump card is safety, there are air bags all over this car, anti whip lash headrests, lane departure warning, blind spot monitoring. Volvo’s trump card has to be its city safe system. The system applies the brakes if it senses someone or something stepping out in front of you. According to Volvo this car is most safety focused Volvo ever! If you are looking for something other than a X5 or a Q7 this car really should be on your shopping list. From its macho new looks to its stunning interior this car had the X Factor in abundance.